I can’t tell you how many times over the last 30 years I’ve heard people tell me how happy they were to be living in the most medically advanced country in the world. The sorry news is that it’s simply NOT true. The U.S. is the most medically CONTROLLED country in the world, which has nothing to do with the health of its citizens–especially when it comes to inexpensive, effective care. Last week I got off a crowded Virgin Australia flight from Brisbane to Los Angeles after sitting next to a chronic cougher the entire 13 hour flight. The next day I was burning up with a 102 degree fever and flat on my back with fatigue, chest coughs, and pain. No matter what I tried to do to bring down the fever it would lessen just a little then spike right back up again. By the 5th day of what I began to wonder might be some strange Australian disease, I decided to do something I should have done by Day 3. No, not go to a doctor who would, in all likelihood, attempt to flood my body with antibiotics thereby destroying my immune system, but something I knew to be quick, safe, and ultimately more powerful. I sought out an intravenous IV Ozone Therapy specialist. 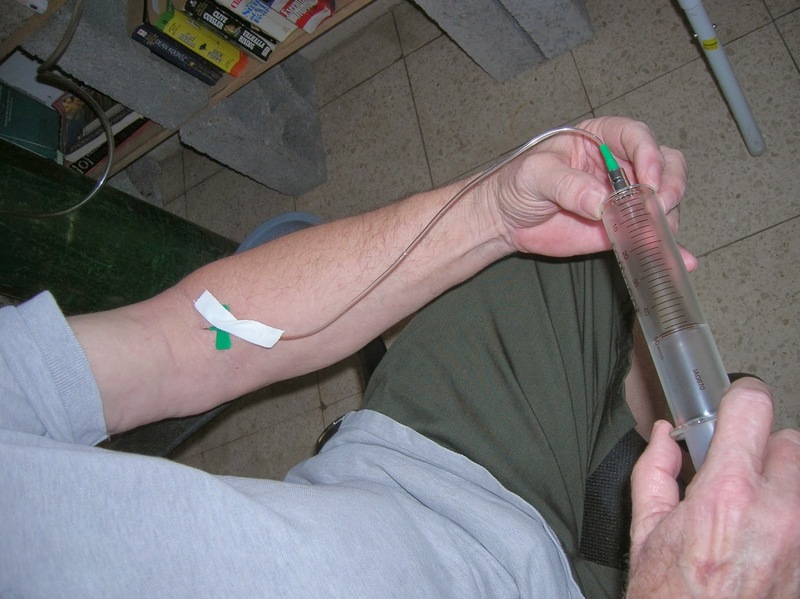 If you’re wondering what IV Ozone Therapy is, then you’re not alone. Most people have never heard about it and that’s exactly how the pharmaceutical companies and AMA prefers it. In fact, they have done everything possible to keep it illegal in this country even though scientific studies have proven that Ozone, properly introduced into the body in repeated intravenous injections inactivates viruses, bacteria, fungi, protozoa and carcinomas in diseased cells. Within hours after having my first Ozone arm injection (which is totally painless), my fever normalized. The aches and pains left my body, and my cough went from a deep chest rumble to a shallow cough. Even though I was 90% better, I had one more injection the next day just to make sure it had done the deed. It wasn’t really necessary. In less than 24 hours, I went from feeling deathly ill with some monster pathogen in my bloodstream to feeling like my old self again. No antibiotic can do that!! The Ozone supported my immune system, cleared my blood of those nasty Virgin Australia viral/bacterial critters, and even left my skin looking remarkably younger. An extra perk! Ozone is completely natural. It is an alternate version of oxygen. Oxygen in the air we breathe is actually two molecules of oxygen attached together, or O2. Ozone is an ‘activated’ form of oxygen where there are actually three atoms of oxygen attached together, forming a molecule that is “O3”. Ozone (O3) behaves completely differently than O2. Ozone is far more energetic and oxidative than Oxygen, which is what makes it so valuable for so many applications. 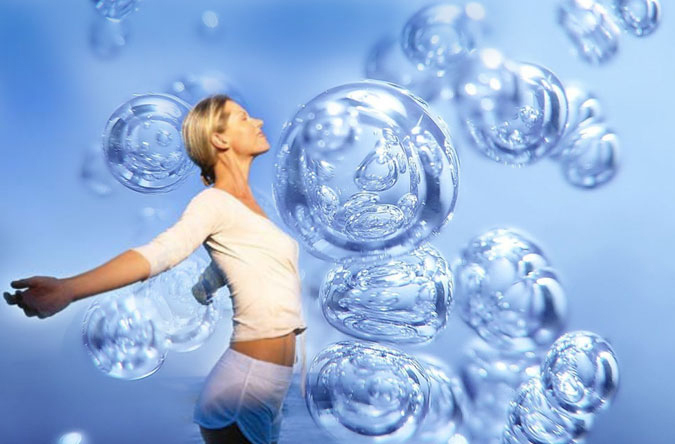 Ozone Therapy has been in use for many years by thousands of West German doctors who claim, in hundreds of scientific and clinical studies, that they are able to inactivate AIDS and other viruses and cancer through Ozone Therapy. A paramedic I know told me that when he worked in Germany it was the first line of defense administered on ambulances when someone had a heart attack. Ozone staves off tissue death. Currently, Ozone Therapy is legal in Russia, Germany, Cuba, Mexico, and Indonesia (where they have licensed medical clinics using it for Lyme’s Disease, Cancer, and everything else). It’s a very cheap cure and therein lies the problem in the U.S. It’s too cheap to profit from it. Some U.S. States will allow an abbreviated form of Ozone Therapy where the doctor is allowed to draw blood from the patient, jiggle some Ozone around in the blood vial and then inject the blood back into the person. This is not nearly as effective, nor as immediate in its miraculous effect, as a direct IV Ozone injections. According to Dr. Joseph Mercola, a team of IV Ozone doctors went into Sierra Leone in Africa to use Ozone to combat the Ebola virus. They had great results, but the government interfered and barred them from further treatments. Most likely because it would ruin profits for the lucrative and extremely controversial vaccine companies. Ozone is a God-given gift where nature provides. Ozone is used for air purification, to speed up burn healing in trauma victims, and even keep swimming pools germ free versus using use chlorine. About 20 years ago I was in a multi-floor discotheque in Cancun that was smoke-filled due to all the smokers back then. Every 15 minutes, Ozone jets in the ceiling released Ozonated air and in seconds the place was clear and smelled like a rain forest. That was my first introduction to the many benefits of Ozone. The sad part is that some of us who want IV Ozone Therapy in this country, have to seek out such qualified practitioners via “back door” or “off the grid” methods. I know medical doctors who are forced to do the same for their own families. Before we could ever become the most medically advanced country on Earth, we first need to put the health and welfare of our citizens first. It’s a lesson in humanity over greed. https://i1.wp.com/www.trinfinity8.com/wp-content/uploads/2015/08/ozono.jpg?fit=675%2C444&ssl=1 444 675 Kathy J. Forti https://www.trinfinity8.com/wp-content/uploads/2014/05/FINAL_trinfinityLOGOrevised-for-web-logo-300x174.png Kathy J. Forti2015-08-12 15:45:082015-08-12 15:45:08Why is the U.S. so Medically Backward about Ozone?